The son of an impoverished landowner, Sienkiewicz attended a Warsaw gymnasium prior to studying at the Main School from 1866-69. When the School was closed, he continued his education at Warsaw University (where Russian was the language of instruction at the time), but he did not graduate, instead he started to work as a Warsaw press correspondent. He made friends within artistic bohemia, notably with the circle associated with the actress Helena Modrzejewska (Modjeska). Sienkiewicz married Maria Szatkiewiczówna, who would die from tuberculosis five years later. From 1876 78, he was a correspondent of Gazeta Polska in North America. There he set out to establish a farming commune with Helena Modrzejewska and her friends; the project failed, however. Despite poor health, he travelled extensively around Europe, visiting Constantinople and hunting in Zanzibar. In the 1870s, he devoted himself to writing and to community projects, such as the erection of the Adam Mickiewicz monument. He was Chairman of the Prudence Fund for Writers and Journalists in 1899-1900 and co-founder of the Mianowski Fund for Persons Working in Scholarly Areas. In 1889, he funded the Maria Sienkiewicz Scholarship for men of letters living in materially difficult conditions. 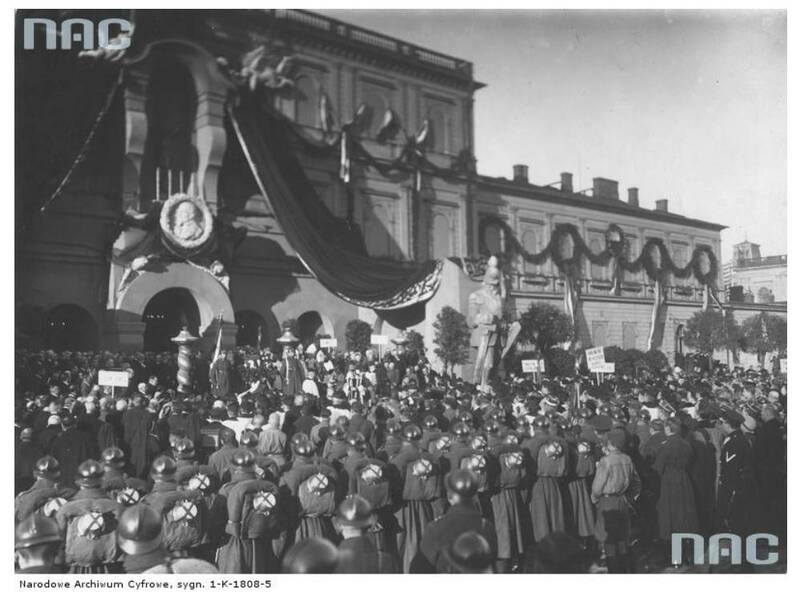 He spoke on public and political matters, particularly against the Prussian policy of Germanization, and in favour of the autonomy of the Kingdom of Poland. 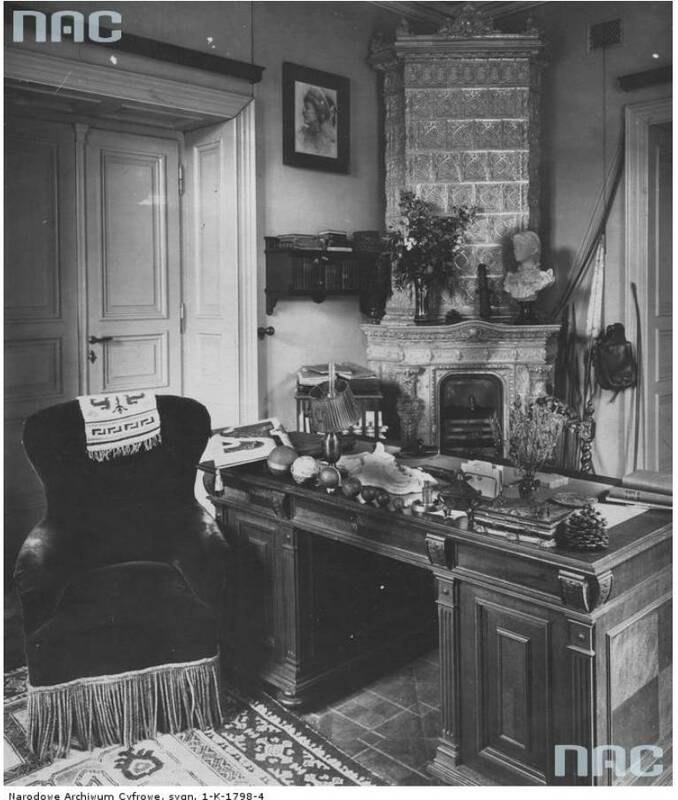 The setting up (with Andrzej Osuchowski and Ignacy Jan Paderewski) of the Relief Committee for the War Victims in Poland was his last major initiative, implemented in Vevey, Switzerland. The committee managed to collect significant amounts of food, medicine, clothes and money. Sienkiewicz died in Vevey on November 15, 1916. In 1924, his ashes were returned to Poland and placed inside St John's Cathedral in Warsaw. 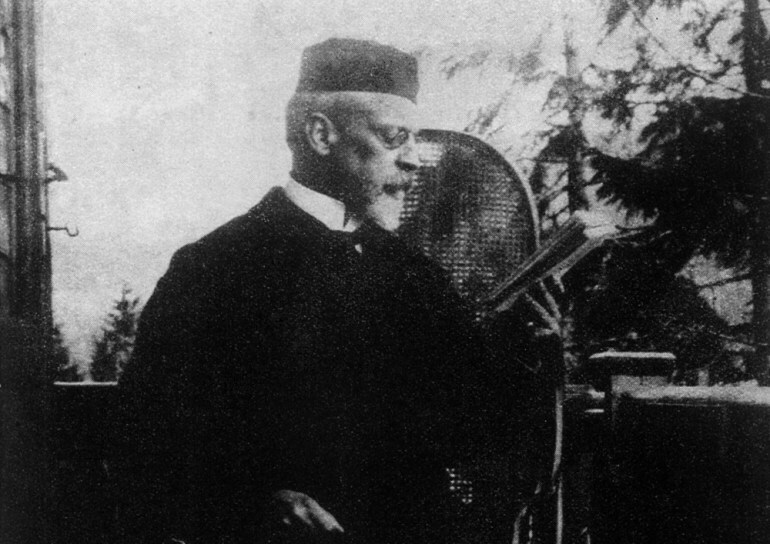 Sienkiewicz's literary career started in the age of positivism, and his biography was typical of this movement in terms of social background (impoverished nobility), education (the Main School), early journalistic work for the Warsaw press (Gazeta Polska, Niwa), and an involvement in public matters and charity work. Early on, his talent and insight produced the series of essays, Chwila obecna (editor's translation: Present Moment) and Wiadomosci bieżące (Current News). His popularity climbed with Listy z podróży (Letters from America), which were published in Gazeta Polska and related his American experiences and impressions. Brilliant in form, with an eye for detail and a sense of humour, they describe American ways, the lives of Indians and Polish Americans, American nature and wildlife, as well as reporting on study and hunting trips and Modrzejewska's performances. The letters have been translated into nine languages and have earned recognition in America. As a man of letters, Sienkiewicz was a keen student of literature. He wrote major studies of the baroque poet Mikołaj Sęp Szarzyński, the naturalist movement in literature, and the historical novel. He reviewed Piotr Chmielowski's Zarys literatury polskiej (Introduction to Polish Literature) and Ludwik Kubala's Szkice historyczne (Historical Sketches). In the spirit of positivism, he was an advocate of realistic literature with its portrayal of social life, its humanist message and its commitment to the nation. He disapproved of naturalism, maintaining that it presented a distorted, one-dimensional image of reality. Sienkiewicz's first works were short stories; he was to write more than forty of them, using the form of a humorous sketch, tale, realistic observation, or diary. The two stories making up his first work, Humoreski z teki Worszyłły (Humorous Sketches from Worszyłła's File), have a clear, positivist message. The first one, Nikt nie jest prorokiem między swymi (Nobody is a Prophet among His Own Kind), recounts the failure of a pioneer of positivist work, an exemplary farmer surrounded by hostility and a lack of understanding. The other one, Dwie drogi (Two Ways), contrasts a reckless landowner, Złotopolski, who sells land to German colonists with his peer, the enlightened engineer, Iwaszkiewicz, who develops industry and creates jobs for Polish workers. Contrary to the serious subject matter, both stories are satirical. The short story Ta trzecia (The Third One), is also humorous, with its observations of the lives of artistic bohemia and the hypocritical bourgeoisie. A number of Sienkiewicz's short stories have children as protagonists: a talented country boy who gets beaten to death for attempting to touch a violin inside a manor house Janko muzykant (Janko the Musician), and little Michaś suffering the drill of the Prussian school Z pamietnika poznańskiego nauczyciela (From the Diary of a Poznań Teacher). Some stories show the fate of uneducated, confused and helpless peasants who face military service in partitionist armies Szkice węglem (Sketches in Charcoal), Bartek zwycięzca (Bartek the Winner). A number of stories were inspired by his American experiences, such as the tales about emigrants unable to cope with strange realities Za chlebem (For Bread) or who miss their native country Latarnik (The Lighthouse Keeper). Others were written from Sienkiewicz's concern for disinherited Indians, most notably Sachem – a poignant story of a son of the chief of an annihilated tribe (by German settlers) who is forced to play the humiliating role of a circus oddity. Sienkiewicz's masterful narratives, rich language and superb endings earned him a solid place in Polish short-story writing, and numerous translations ensured him international recognition. Yet it was his historical novels that elevated him to the peaks of fame, especially Ogniem i mieczem (With Fire and Sword), Potop (The Deluge) and Pan Wołodyjowski (Sir Michael), the Trilogy he had published in installments in Słowo between 1883-86. Sienkiewicz highly rated the historical novel for its didactic and ideological values, and for its contribution to encouraging patriotism and nurturing tradition. 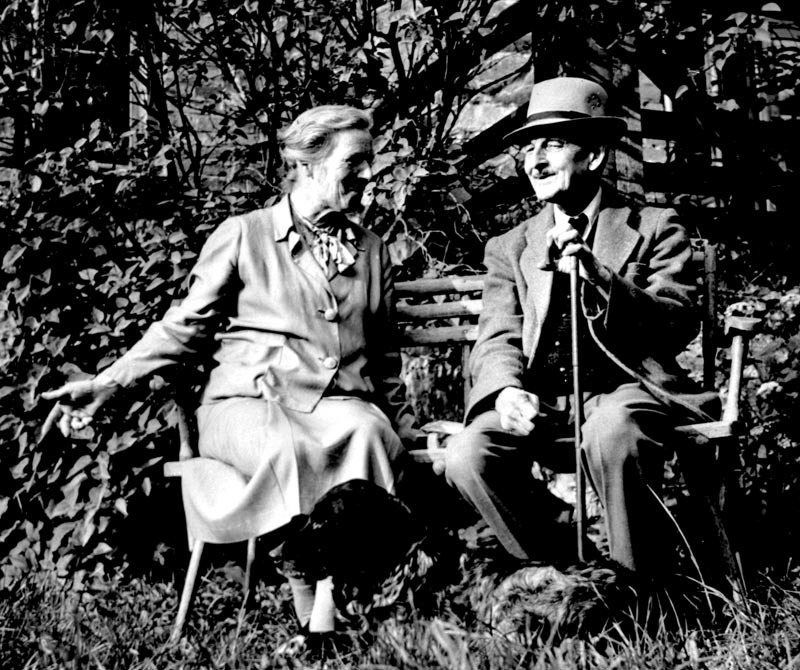 He conducted detailed research into the era in which his novels were to be set, inspired by a 'passionate reading of the age's chronicles and diaries which aroused more artistic emotion in me than did other ages'. His main focus was the years 1648-73, the time when the Commonwealth of Poland and Lithuania faced a number of threats, yet overcame them successfully. Sienkiewicz's Commonwealth was not free of vices such as egoism, avarice, anarchy and treason. However, when the country was in danger, the knights and noblemen proved able to make huge sacrifices to save the day. In Ogniem i mieczem, they push back the rebellious Cossacks led by Chmielnicki, and in Potop, they stop the Swedish invasion, while in Pan Wołodyjowski, they triumph over the Tartar hordes. Sienkiewicz combines the adventure novel with the historical love story, setting the action in the huge territory from Silesia to easternmost Ukraine, mostly in military camps, but also at the royal court, in the manors of the nobility, and in local parliaments. The plot is extremely dynamic, with lots of skirmishes, pursuits, escapes and abductions. In each book, at least one spectacular battle is fought in a besieged castle: in Zbaraż in Ogniem i mieczem, Czestochowa in Potop, Kamieniec Podolski in Pan Wołodyjowski. The superbly evocative descriptions of battles, skirmishes and executions are not free of cruelty. Sienkiewicz populated the pages of his Trilogy with a range of characters, including historical persons such as Jeremi Wiśniowiecki, Stefan Czarnecki, Paweł Sapieha, kings Jan Kazimierz and Jan Sobieski, Karol Gustaw and Bohdan Chmielnicki as well as fictitious characters, notably the protagonists of each part, i.e. Skrzetuski, Kmicic and Wołodyjowski. As one would expect of an adventure story, the characters are usually good or bad, their morality clearly defined. Yes, Kmicic does sin when young, but redeems himself with heroic actions, and Mr Zagłoba, the colourful Sarmatian, liar, boozer and coward, does great things at critical moments. Historical events are invariably intertwined with love affairs: between Skrzetuski and Helena Kuncewiczówna, Kmicic and Olenka Billewiczówna, and Wołodyjowski and Basia Jeziorkowska. These love affairs are not without obstacles, for each maiden is also loved by a bad character and traitor (Bohun, Bogusław Radziwiłł, Azja Tuhajbejowicz), and then kidnapped and held prisoner. Naturally enough, at the end, the positive hero prevails and marries his beloved. Thus valour and patriotism triumph in public life, while love and family are victorious in private lives. The Trilogy reveals Sienkiewicz's enormous writing talent: the ability to develop the plot, diversify the characters, provide descriptions, convey period detail and style in appropriately archaic language. While he was not terribly modest - indeed, he thought highly of his writing skills - the popularity of the three novels exceeded even his own expectations. Initially an author of adventure and historical novels with patriotic messages, writing for the cause as well as for the money, he became a national icon as a writer writing to raise the spirits. He accepted this role with dignity and solemnity. His attractiveness to readers was also confirmed beyond his own country, the trilogy having been translated into more than twenty languages. All three books have been filmed, and Ogniem i mieczem was adapted for the stage and performed at Sara Bernhard's theatre in 1904. A similar combination of a knight's adventures and a romance can be found in Sienkiewicz's next novel, Krzyżacy (The Teutonic Knights), published in Tygodnik Ilustrowany between 1897-1900. The story develops at the royal court and manors, in monasteries and on the roads, in a primeval forest and at the Teutonic castle in Szczytno. 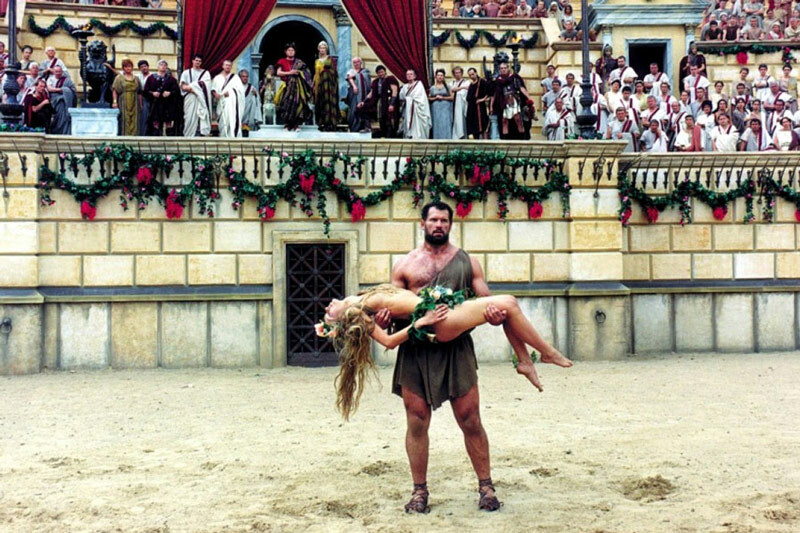 The historical characters include, among others, King Jagiełło / Yogaila and Queen Jadwiga, while the main character is Zbyszko from Bogdaniec, a young, hot-headed knight. The story is set against the historical background of the escalating conflict with the Teutonic Order, an arrogant and greedy organisation which justifies any crime in the name of Christ. The romantic theme is provided by Zbyszko's love of Danusia, the daughter of Jurand of Spychowo and the lady-in-waiting of the Duchess Anna Mazowiecka. In the wake of the conflict with Jurand, the Teutonic Knights kidnap Danusia. Jurand follows his daughter, but the knights grab and maim him. Danusia falls ill and loses her senses in captivity. When finally free, she dies in Zbyszko's arms. After a period of despair, Zbyszko finds happiness with Jagna, his childhood friend. The historical conflict ends with an epic description of the Battle of Grunwald, a military success for Polish and Lithuanian knights. The dark tones used by Sienkiewicz to depict the Teutonic Order reiterated what he had voiced a number of times before, namely his protest against the policies of Prussia, considered by him to be the heir of the Order's imperial expansion. 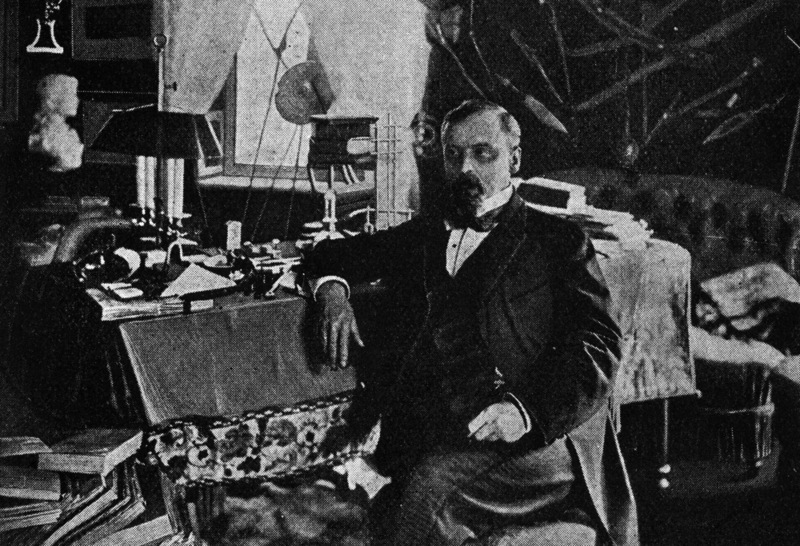 Sienkiewicz's greatest success - the Nobel Prize (1905) - came with Quo Vadis. Published in Gazeta Polska between 1895-96, this novel shows Rome at the time of Nero's rule, with all its splendour, sybaritism and intellectual culture. This pagan world is witness to the secret and quiet birth of a new, Christian world. Winicjusz, a young patrician, loves Ligia, a beautiful Christian captive of Slavic descent. His love is not requited until he becomes convinced of the moral strength of the new religion and its repressed followers. Sienkiewicz, who was familiar with Rome, both in ancient and modern times, paints a colourful and captivating vision of the emperor's court and of such characters as Nero, Petronius the poet and Seneca the philosopher. The first Christians, in contrast, are morally strong, but artistically weak. Despite that, the Christian values earned the author the Nobel Prize. The novel was translated into more than forty languages and proved perfect material for an opera (Jean Nouges, 1909), several films, an oratorium (Feliks Nowowiejski) and a panorama (Jan Styka). Another popular novel by Sienkiewicz was W pustyni i w puszczy (In Desert and Wilderness), a book for young readers. Printed in Kurier Warszawski in 1910-11, it drew on Sienkiewicz's experiences during his African trip. The plot is set in Sudan during the Moslem uprising against the English. The supporters of Mahdi, the leader of the uprising, abduct the children of a Pole and an Englishman working for the Suez Canal Company. The children, Staś Tarkowski and Nel Robinson, escape across much of the African continent, experiencing a number of adventures. Staś fights with wild animals, searches for food, saves an elephant trapped in a gorge, and cures Nel of malaria. The children are accompanied by Saba the dog and later joined by the saved elephant and a couple of young blacks, Kali and Mea. Finally, they return to their fathers and the brave Staś, a Polish patriot, makes an inscription Long live Poland! on Kilimanjaro. After the Trilogy, Sienkiewicz published two contemporary novels, Bez dogmatu (Without Dogma) and Rodzina Połanieckich (Children of the Soil). Interestingly, both novels were not quite received the way the writer had intended. The first one is a diary kept by the thirty-five-year-old, Leon Płoszowski, a wealthy count living in Rome with his father. A patron of European salons, comprehensively educated, sensitive to beauty, and a women's favourite, he suffers from an illness of will and emotions. Seeing neither the purpose nor the sense of life, he is unable to find grounds for religious faith or a stable system of values. Contemporary science and philosophy as well as his own over-sensitivity and introspection have turned him into a skeptic. This does not make him happy, but he cannot find a cure, especially as his comfortable lifestyle does not motivate him to make an effort. An aunt who settles in Płoszów encourages him to marry Aniela. He falls in love, yet cannot decide to marry her, instead procrastinating, withdrawing, and getting involved in love affairs. Finally, for practical reasons, Aniela marries Kronicki, a shady businessman. Płoszowski's love for her turns into an obsession, his emotions moving from love to hate to contempt and back to love. He tries to get Aniela back, but she responds with a 'catechism simplicity'. The story ends tragically for both of them: after her husband's suicide, Aniela, expecting a baby, dies, and Płoszowski's last entry in his diary talks about taking his life. This psychological drama contains Sienkiewicz's diagnosis that society is sick. There is the privileged elite on one hand and a completely uncivilized crowd on the other, with a void between that will hopefully be filled by such characters as the Chrostowski brothers, the sons of the Płoszów farm manager, who have healthy bodies and minds, and are vigorous and enterprising. Sienkiewicz was hard on his protagonist: This novel is intended as, and will be a clear warning of, what a life without dogma leads to - a mind which is skeptical, over-refined, deprived of simplicity and lacking in support'. The generation of modernists, however, found him a positive hero, a decadent suffering from la malaise du siecle, an over-sensitive, doomed man, who is nevertheless a harbinger of spiritual evolution. The novel was fashionable and popular and, translated into eighteen languages, aroused considerable interest, most notably from Leo Tolstoy. The protagonist of Rodzina Połanieckich, is, in turn, an impoverished nobleman doing business in Warsaw. He marries Marynia, a noblewoman deprived of her property. Marynia, who gets married out of necessity, follows her moral code in being a good and faithful wife. Her husband, however, follows a different code of morality. He is tough and ruthless in business and cheats on his wife. The end is quite unexpected and fairy tale-like: Połaniecki buys back his wife's property and returns to their roots, to the land and family values. Naturally, the critics opined that Sienkiewicz regarded him as a positive character and an exponent of his own views. In 1909, Głos Warszawski printed Wiry, a rather unsuccessful political novel in which Sienkiewicz expressed his concern about the Russian socialist movement and its potential implications for Poland. It was invariably the Trilogy that attracted the largest readership, making Sienkiewicz a national icon. The masses loved him. In 1900, the nation presented him with a manor in Oblęgorek near Kielce (now housing his museum.) Intellectual elites did not share this enthusiasm, but they dare not attack him. True, Bolesław Prus published some critical notes on Ogniem i mieczem in 1884, but did so with caution. He expressed his recognition of the artistic merits of the novel, yet deplored the fact that nobody could learn history from it, for the origins and nature of the Cossack rebellion as presented by Sienkiewicz were totally different from historical fact. Wacław Nałkowski went further in Głos in 1894. In line with his theory of the transformation of biological forces into psychic energy, he announced that a tired writer might sometimes take a break by escaping into mythology. Things are worse, however, if one is driven by egoistical motives and neither wants nor is able to go beyond mythology. Nałkowski found such detrimental national mythology in Sienkiewicz's writing, and the more popular it was, the more detrimental it became. It is worth noting that the publisher refused to include this text in Nałkowski's volume of writing Jednostka i ogół (One and the Mass). ...it is not an occasional polemics, it is a fundamental argument about the character and the contents of the entire contemporary literature and of our entire spiritual life. (...) Assessing Henryk Sienkiewicz is an exercise in social soul-searching. If there is anything I hate with all my soul it is you, the Polish sluggishness, Polish optimism of duds, layabouts, cowards. From the 17th century we have been Europe's gawkers. ... What has been the essence of mankind's life - the back-breaking work - is a pastime to us. Sienkiewicz has codified and given an esthetic frame to our position; he is a classic of Polish unawareness, of noble ignorance. Nowadays, Sienkiewicz's works no longer stir up such emotions. His historical novels are read as adventure stories. And although their popularity with the younger generation has decreased, libraries still have waiting lists, and screen adaptations are box-office hits. Nevertheless, the debate goes on between the two positions, that of the traditional catholic Pole upholding the patriarchal family and that of the European Pole, a creative participant in the transformation of society. Main edition of Sienkiewicz's works: Dzieła (Works), ed. Julian Krzyżanowski, vols. 1-60, Warsaw 1948-55.